A tribute to gold medal winner Hollie Webb has appeared in the most unlikely of places, on Mr Potato Head. 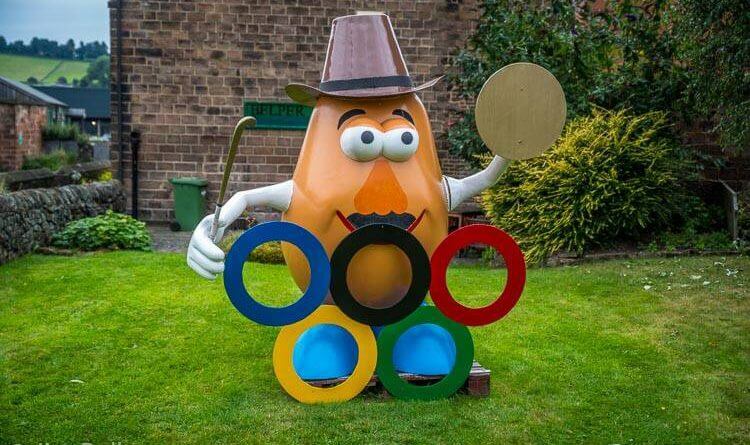 The somewhat maligned Mr Potato Head, currently residing in the garden of the Belper Community Cottage opposite the bus station, has joined in with the rest of the town to celebrate the hard work of local Olympian Hollie Webb. The work was done by Stewart Hopkinson, one of the Belper Town Council workers, who cut everything out of ply, painted it up and put it in place. All except for the hockey stick, which is an actual hockey stick painted gold. It was Hollie Webb’s efforts during the Olympic Women’s hockey final penalty shootout that secured a gold medal for Team GB against favorites, Holland. 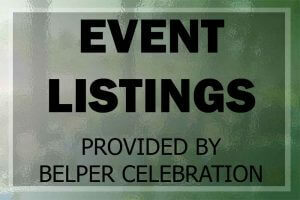 This week Pauline Latham MP has suggested on Twitter that: “After her Rio success, how about a gold post box in Belper for Hollie Webb? I think her achievement definitely deserves one!” Whilst elsewhere on Nailed others have suggested a procession for Hollie and Craig. Many now are wondering how long it will be before the King Street post box finally gets a new coat of paint.